Eliminate heat soak problems with the PeaceKeeper Heat Defense System. Tune more aggressively. Run to the ragged edge. Dance with fate! Escape calm, cool, and collected every single time. It's about dropping below all thermal thresholds to avoid calamity. -not some, but all. 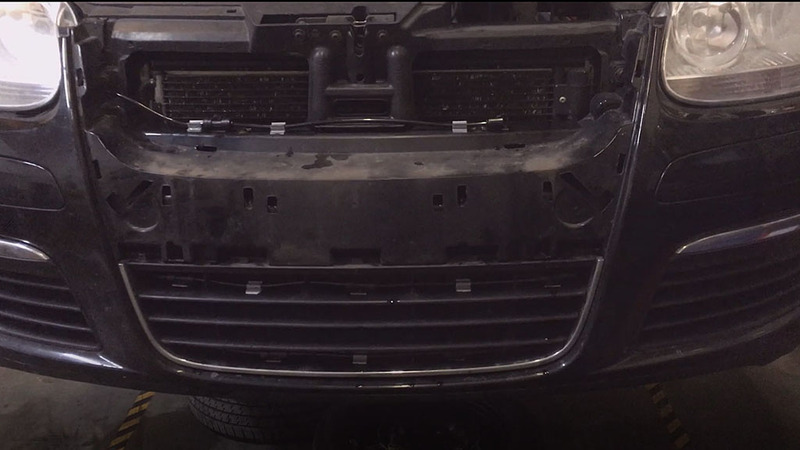 Spray flowing from system neatly integrated into Mk5 TSI front bumper cover. 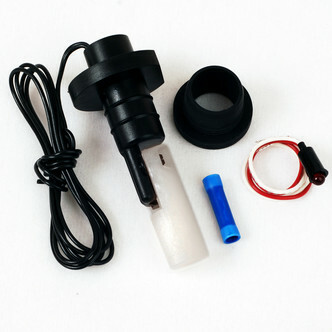 Unlike water/methanol injection, this kit cools any cooler via evaporation from the outside. It differs from cryo (i.e. "freezing gas") spray in that it eliminates heat build up over time vs. intervening briefly at the last second. This makes it valuable for hard street, rally, and some roadcourse work vs. drag strip duty. When you've already "done everything", it's time to regulate. 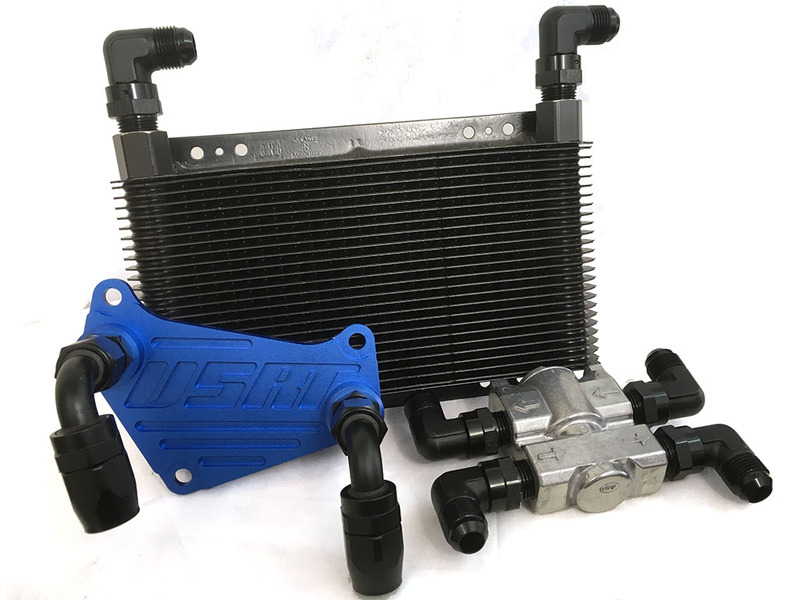 And, if you haven't got the budget for an all out cooling system, this package will take the edge off easily and practically. 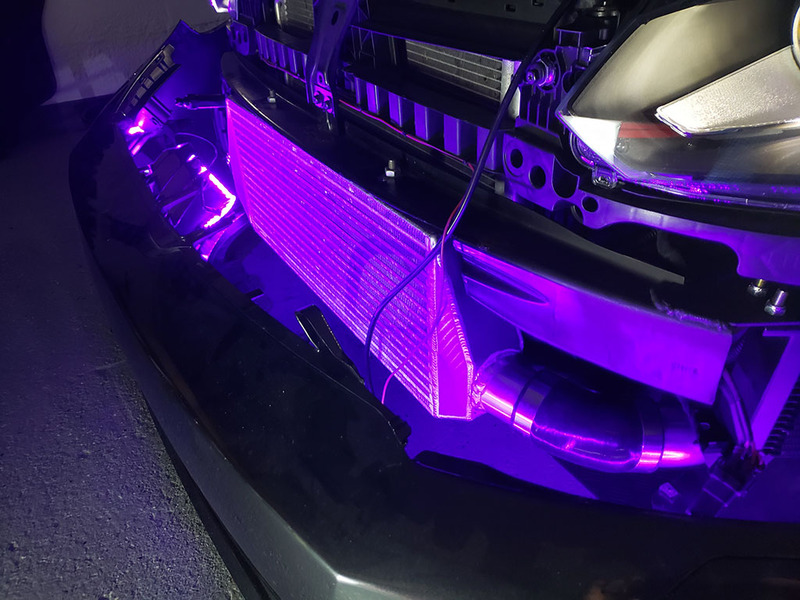 While under boost, an intercooler functions mostly as a heatsink. Intake air raises core temperature faster than the core can radiate it back into the atmosphere. Heat steadily "soaks" the core and reduces intercooling in the process. After a point, the intercooler stops cooling the air completely. IATs soar and performance drops. 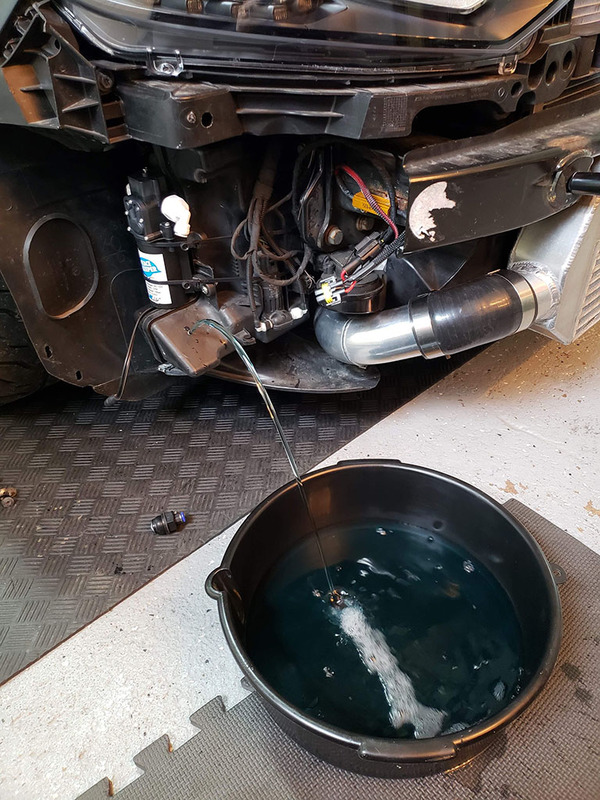 PeaceKeeper steps up your game with a plumbing package designed for distilled water (hot summer), windshield washer fluid (all season), or typical 50/50 water/meth injection brew (cold winter). 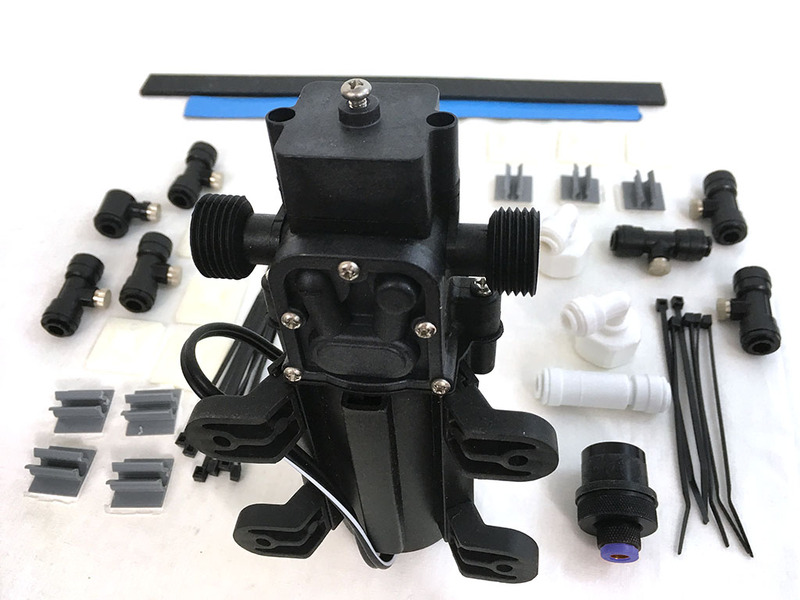 Kits come standard with a total of seven spray points (4x 30cc + 3x 50cc nozzles) for even distribution across the cooler's frontal area. 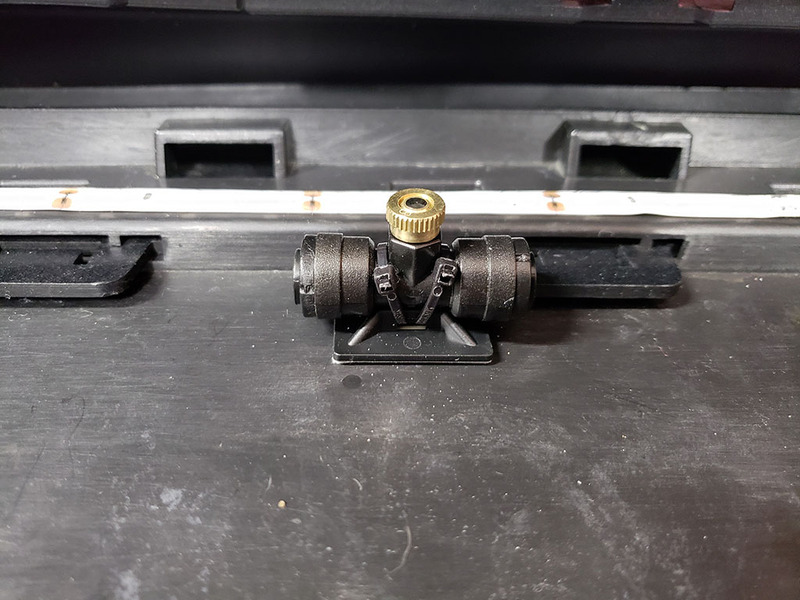 Plumbing may be attached to the inside of a bumper skin, through grill slats, or attached to the bumper rebar with great ease and functional convenience. The farther the spray points are from the cooler surface, the better it works. 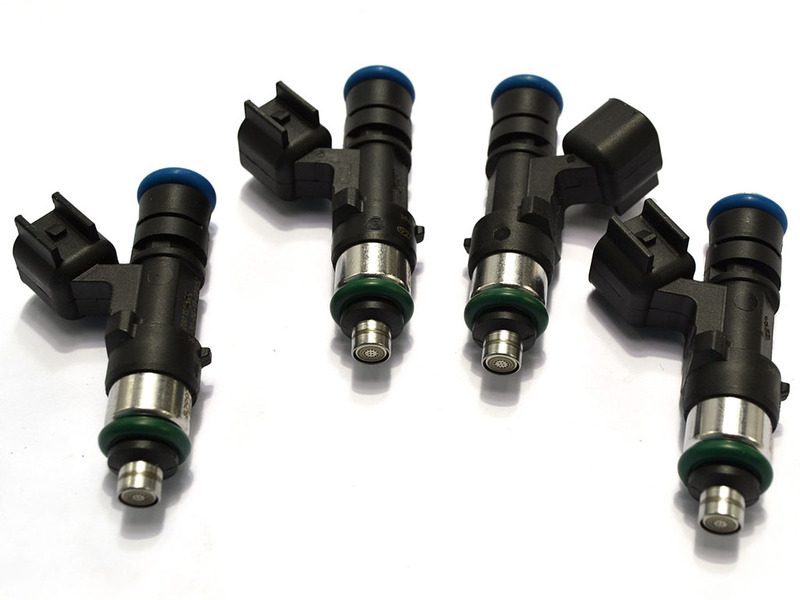 Each spray tee holds one high-atomization misting nozzle. 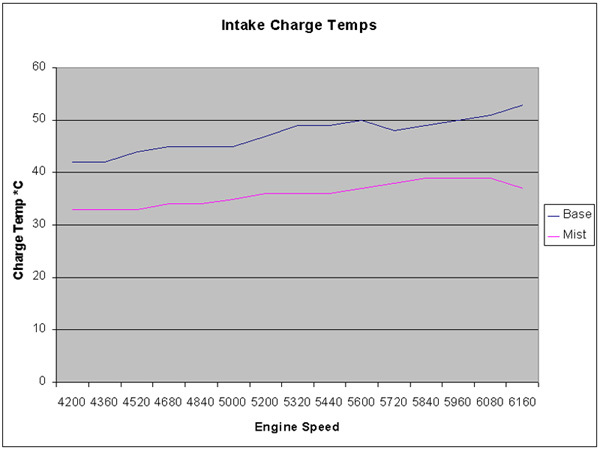 Results from 350hp 1.8T with front mount intercooler and two spray heads: Test involved multiple heat cycles at 30 - 65mph average road speeds. 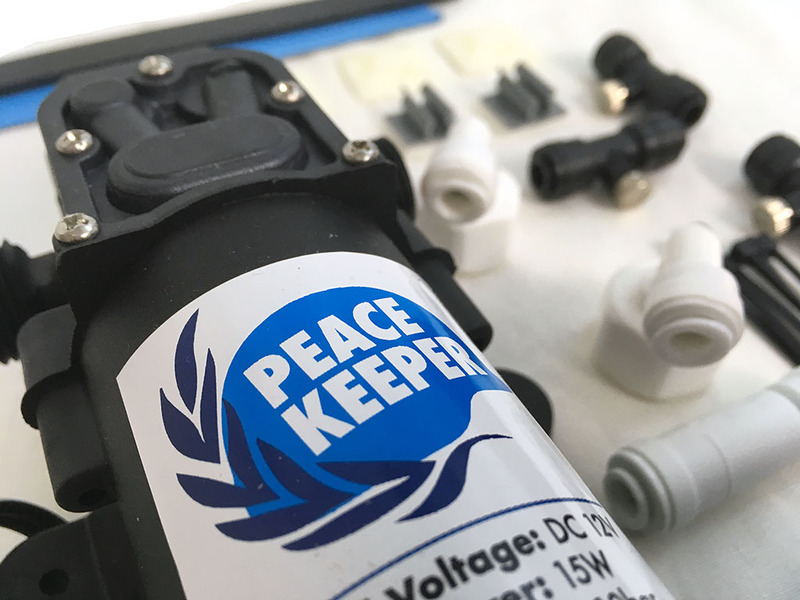 Each PeaceKeeper kit comes complete with a pump (1.25A/15W), seven spray tees, seven nozzles (total of 270cc/minute flow), mounting hardware, over 15' of flexible hose, checkvalve, and tank tap. Switching it is up to you. We suggest a Boost Trigga, if you anticipate periodic heavy boost with brief cooling intervals. 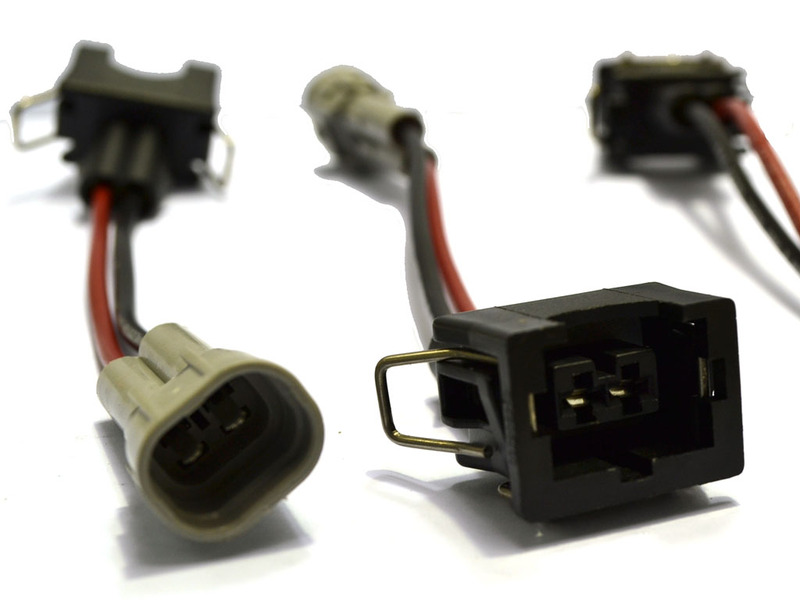 For the ultimate in automated precision, combine with the incredible Cortex EBC or Torqbyte! LEDs in place for testing purposes only. -not part of kit. 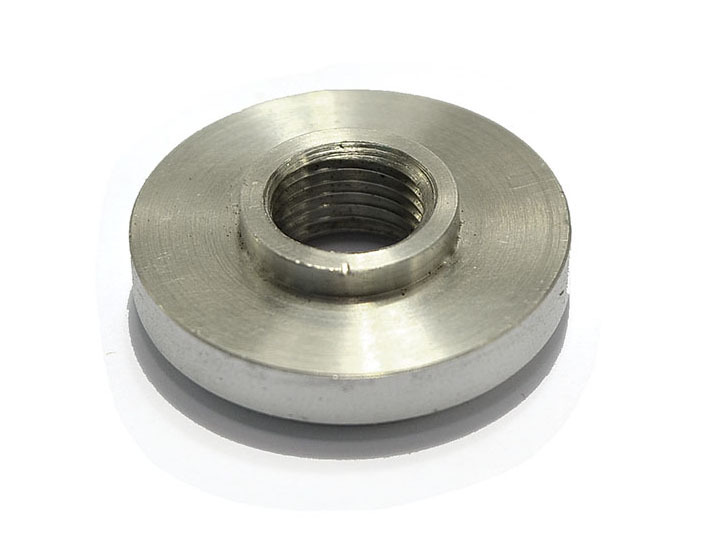 Simply drill a hole in the washer bottle and insert our tap. 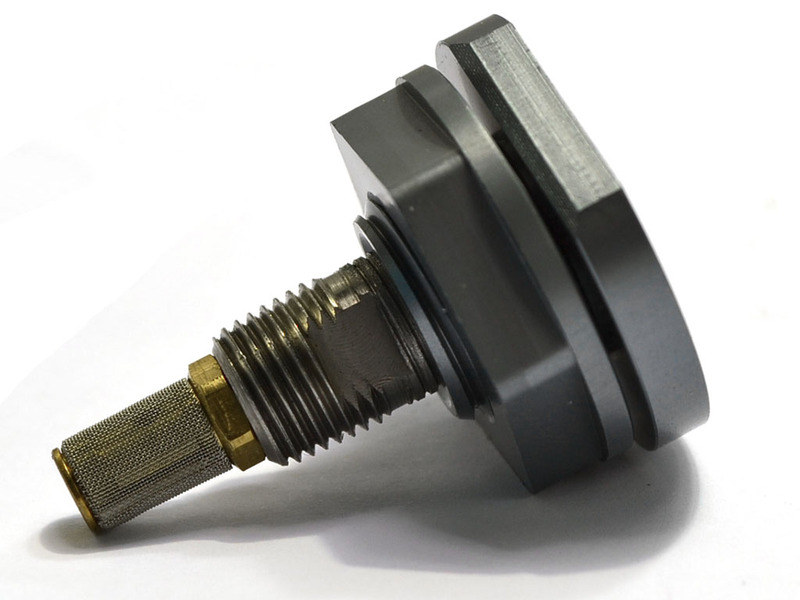 The rubber-isolated pump mounts easily to body paneling and is inaudible inside the car. 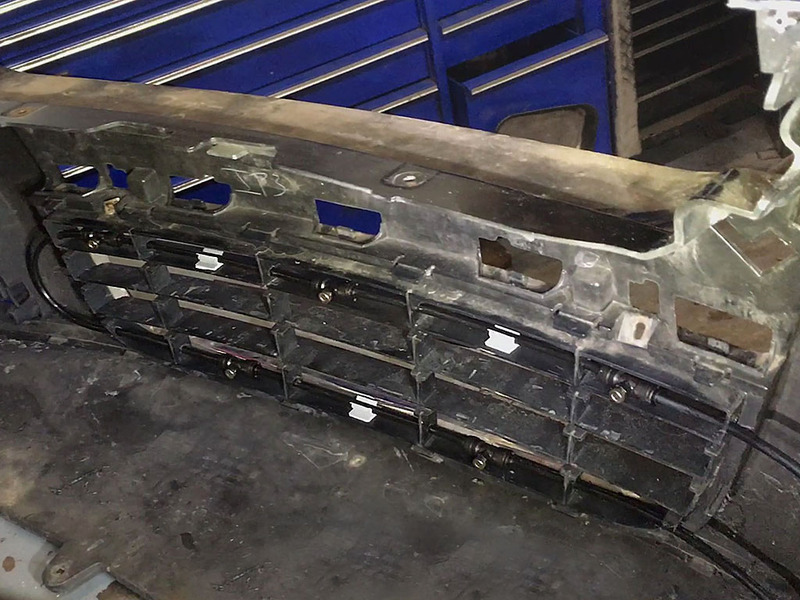 Bumper covers remain serviceable without any fuss. 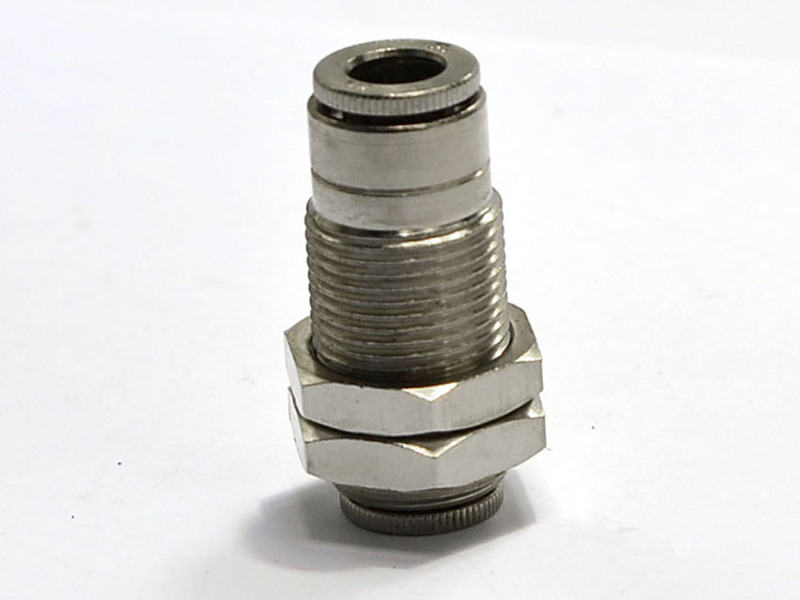 Grills are easily removed after disconnecting short piping sections between spray tees. Most attachment points are covered by grills. Light color tabs in place to make photos more clear. Once implemented, installations are nearly or completely invisible. Note: The pump is run flat out in an on/off manner and is not to be pulsewidth modulated. Genesis II 630cc "DOUBLE FOGGER"